Over the deer and through the deer to grandmother’s house we go. 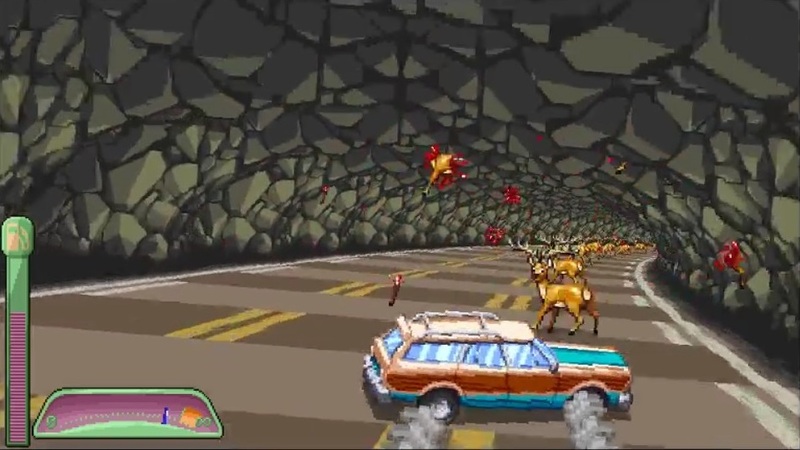 That’s how I remember the old song and Necrosoft Games have brought that song to life in Oh, Deer!*. Oh, Deer! 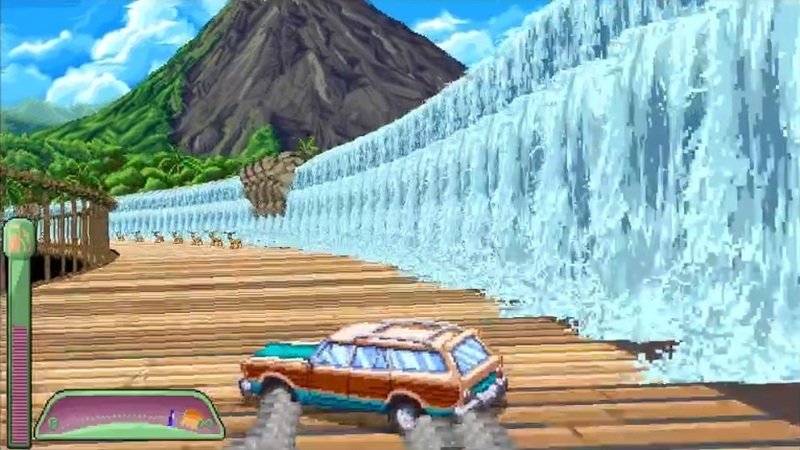 is a retro racing game with graphics reminiscent of the Sega classic, Out Run. 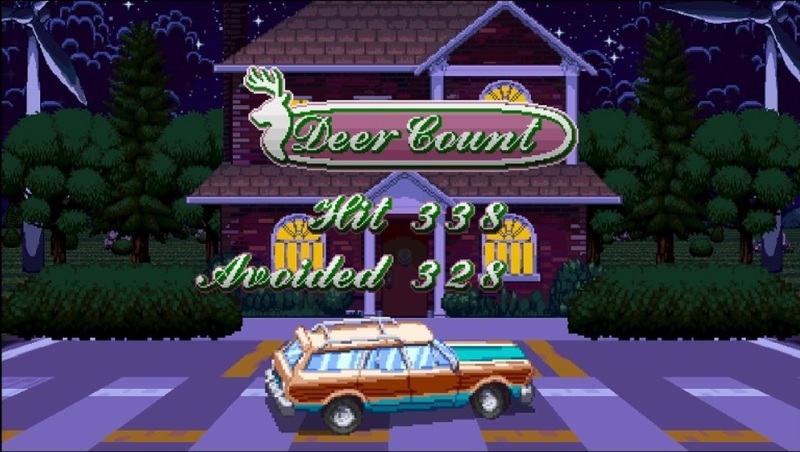 The goal is to drive your wood paneled station wagon through five levels while hitting (or not hitting) as many deer as possible. In the beta version of the game score isn’t really important. You can try to hit as many deer as possible, or you can try to spare them. Graphics: As I said before the graphics look much like the old Sega arcade games designed by the great Yu Suzuki (Hang-On, Space Harrier, After Burner, Out Run, Sword of Vermilion***). It is a fun game to look at. Each of the five levels has a unique albeit knowingly cliche aesthetic. 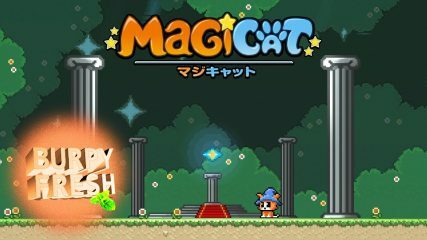 Music: The music is composed by Motohiro Kawashima, who is a great old school chiptune composer who did a lot of work for the Genesis back in the day. Listen to this noise. It’s so rad. And I know what things are rad. Because I am a wizard. Gameplay: Oh, Deer! is Out Run with the addition of a more modern drift mechanic. You make the sharp turns by tapping the breaks and going into a controlled skid. The lines of deer show you the best lines you should be taking. That’s really it. It’s a simple mechanic, but it’s a fun one. Once you get in the Video Game Zone (VGZ) you feel pretty cool drifting around all those tight corners and making a huge bloody mess. My only mild criticism is that some of the turns are not as well telegraphed as I would like. Overall, Oh, Deer! has a cool retro/gore aesthetic, a legit legend doing the music, and a fun mechanic. I’m eager to see what Necrosoft will do with the finished game. On the roadkill scale I rate this a tanuki on a turnpike out of 10. Killed more than I spared. I’ll call that a win. *I’m reviewing the beta version from the Humble Monthly. The full version might be quite different. You have been warned. **At least we aren’t Canadian. Mooses are like steroid deer. 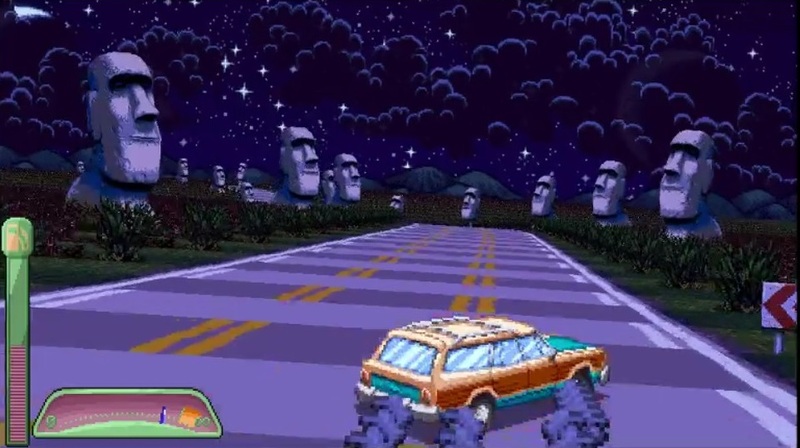 You need, like, bazookas or something when you’re driving up there. ***Heck yes, Sword of Vermillion. It is the best. You’ll note I didn’t mention Shenmue. That is because that game is all kinds of not the best. It is bad. No, I don’t know where you can find any sailors. Go away.